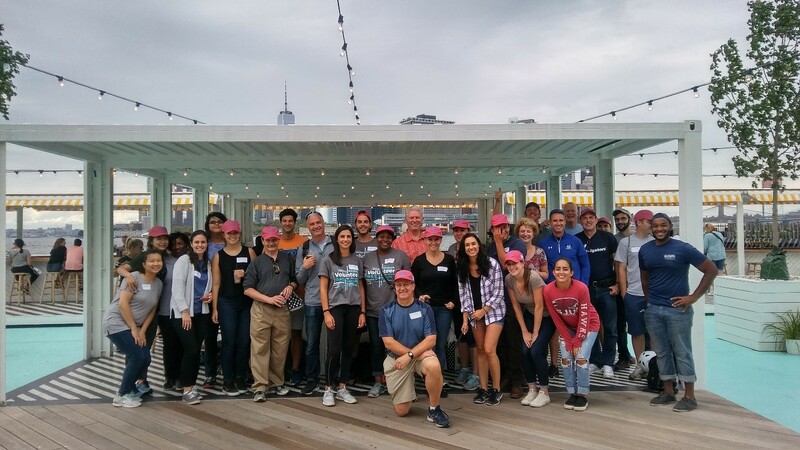 Staff from the American Institute of Marine Underwriters (AIMU) are about to have a lot of fun while helping New York City’s environment. On August 30th AIMU will have its annual Volunteer Day at the New York Harbor School on Governors Island. The team will help the Billion Oyster Project, an initiative to add – you guessed it – a billion oysters to the New York harbor by 2035. Today, oysters are functionally extinct in the harbor due to over-harvesting, dredging, and pollution, but once oyster reefs covered over 220,000 acres of the Hudson River estuary. They provided valuable ecosystem services to the region by filtering water and providing a habitat for other marine species. A single oyster can filter about 30 to 50 gallons of water every day. And New York City was virtually built from oyster shells. 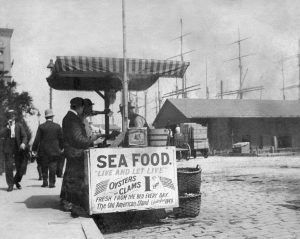 In the 1700s many building projects depended on the mollusks’ shells for lime, and oyster carts were as ubiquitous as hot dog carts are today. It’s fitting that AIMU is helping to keep the marine environment clean and healthy for future generations.